This successful tender demonstrates a strong degree of confidence in both Penelope and Sinapse as effective partners able to deliver customer-focused services and solutions in a secure mobile environment of national scope. Earlier this year, Sinapse was contracted to implement and support the deployment of Athena Software's Penelope case management application with the Australian government's Department of Veterans' Affairs (DVA). The project saw the web-based Penelope application replace the Veterans and Veterans Families Counselling Service Management Information System previously used by the DVA. The DVA provides a range of services to Australian war veterans and their families, including rehabilitation and home care services, as well as programs for mental and physical wellbeing. The DVA required that the selected software solution be available to interface with the national Personally Controlled Electronic Health Records (PCEHR) system. Sinapse will deliver the additional functionality that will accommodate the connection of Penelope to PCEHR. ”Sinapse implemented a total business solution for DVA VVCS within four months to counselors across all Australian states,” said Noel Thurlow, Partner at Sinapse. "We had a tight implementation time-frame and a great Sinapse team assembled to deliver this project”. The Australian Government's Veterans' Affairs portfolio is made up of a number of agencies responsible for carrying out government policy and implementing programs to fulfill Australia's obligations to war veterans and their dependents. These include the Department of Veterans' Affairs, the Repatriation Commission and the Military Rehabilitation and Compensation Commission (collectively, these agencies are known as 'DVA'). “At Athena, we are pleased to have been selected for such an important national project involving hundreds of practitioners providing critically important support services to Australian veterans and their families,” said Greg Stanley-Horn, Director of Deployment at Athena. Athena Software (http://www.athenasoftware.net) is a global case management solution provider based in Waterloo, Ont., Canada. 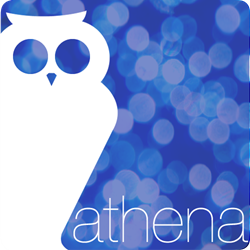 Over the past 11 years, Athena Software has grown to partner with hundreds of organizations across the globe, with over 10,000 end users of its Penelope case management solution. Sinapse is a consulting firm founded in 2008 and based in Melbourne, Victoria in Australia. Since its inception, the company has expanded to include over 50 full-time consultants. Besides its consulting work in the mining, health and pharmaceutical, Sinapse also has a strong not-for-profit practice implementing and supporting Athena’s Penelope software in Australia and New Zealand.